After sending a big order to the Museum of Arts and Design in New York, we had to replenish our stock of extra-small Round vases. 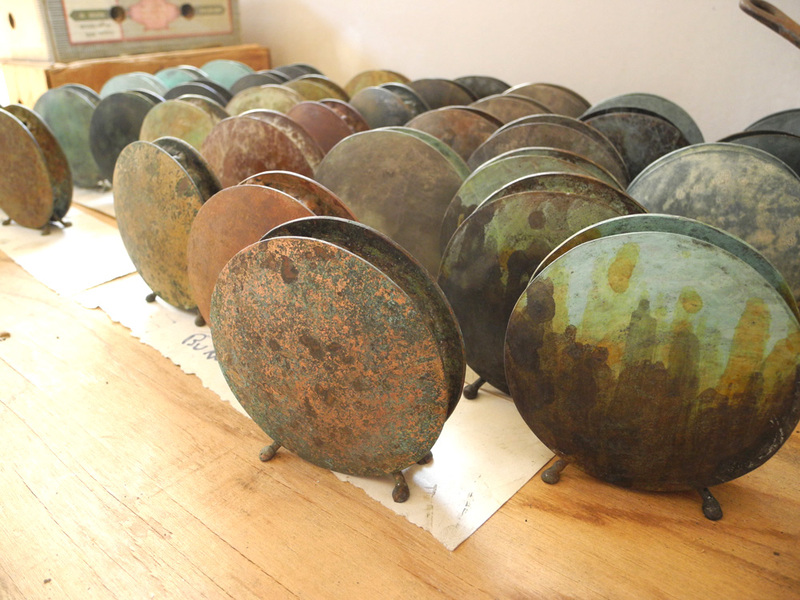 We we try always to have a full set of all our patina colors in these little vases. You can order these from us in any color, from 3½ to 16 inches diameter, here.